The Sims 4 is EA’s latest release in the long-running series, and now that’s it’s out in the wild, it’s time for us to look at it. With streamlining as its focus, is The Sims 4 a cleaner, leaner The Sims, or is it just a shell of its former glory? Let’s find out in our First Opinion. My first observation was towards the loyalty rewards EA touted for The Sims 3 owners. 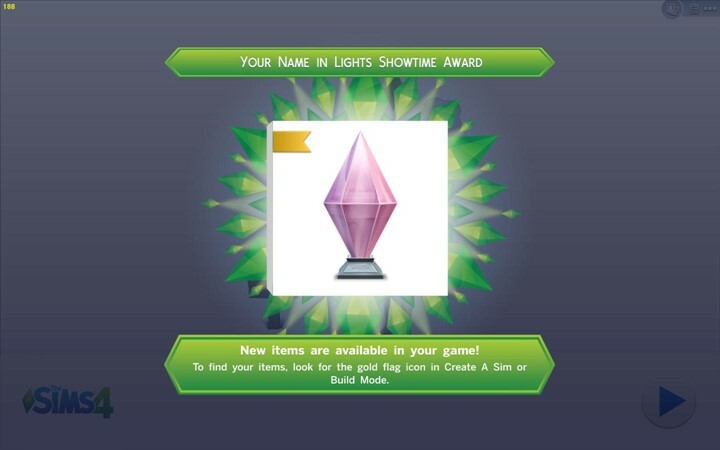 They announced some time ago that owners of The Sims 3 and its various expansions would get bonuses for The Sims 4, but as you’ll see when you first log in, said rewards all amount to the same plumb-bob lights in different colors – not that impressive. Once you’re through that, you have to create your Sim family. Create a Sim is tactile enough with its pseudo-Spore grab-and-drag body morphing, even if some parts are harder to grab than others (mouths and eyebrows stand out here). The lack of a color wheel or the ability to choose an object’s pattern or texture is an obvious omission that hurts, and a cynic could say that it was removed so said colored plumb-bob lights could be unique and all not recreated by having just one and hitting it with the color wheel. Still, we press on and finally get into the game and that’s where The Sims 4 makes good. 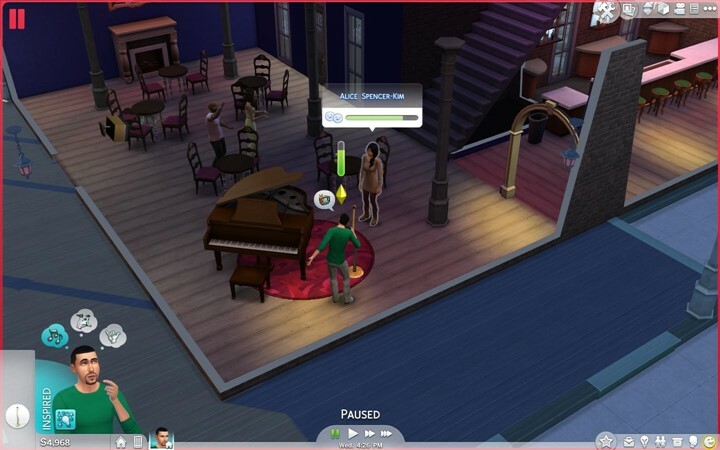 My Sim tells jokes at the night club – he’s a real stand-up guy that way. I was against the focus on emotions in The Sims 4 before launch, pointing to them just being The Sims 3’s moodlets, rebranded. It turns out that they affect the game more and are a lot more manageable. I gave my first Sim, Bumbo Dumbo an office and placed “Inspiring” post cards he had received on the walls, so whenever he went in to write he got the Inspired emotional state and did better. Swaying your Sims moods is fairly easy and they often have various benefits through new interactions that they unlock. With only a day of play time, it will take some time before we render a full review, but look for more The Sims 4 content before then – word has it there might be a short story article or two coming, and you don’t want to miss that.